4. She loved headcheese. When I was a kid, I’d tag along with her to the deli as she bought a few slices as a treat to tuck into her sandwiches for the work week. Back then, I’d make a face as I saw the deli man slicing what looked like meat jello to me — gelatinous slices with pieces of pork suspended in them. Back then, I couldn’t understand the appeal at all. But now, I get it — the unique combination of textures, the porky richness, and the effort that went into making it. I can almost imagine her disbelief if I could tell her now how much I enjoy eating it now, too. 5. She never berated me for tearing off the top of muffins and leaving the stumpy bottoms behind. She’d shake her head at me for it, wondering why I just didn’t eat the entire muffin. She didn’t realize that the slightly crispy top that fit perfectly in my palm was the real prize. But she’d let me get away with it, and finish the bottoms for me. Because that’s what moms do. Whenever I tear into a muffin now, I always think of my Mom. Morning Glory ones were always a favorite in our house, often purchased from a bakery or sometimes baked by me. 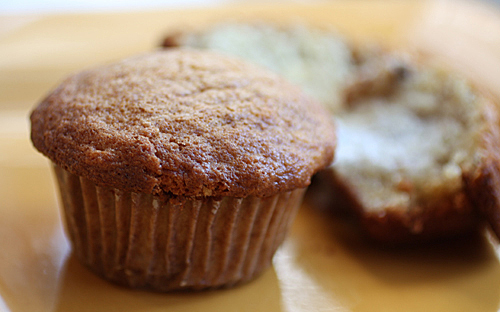 It’s a muffin loaded with good stuff — coconut, raisins, carrots, apple and plenty of cinnamon. And it’s super moist. It’s a little like carrot cake, only maybe more virtuous because there is no gooey cream cheese frosting. 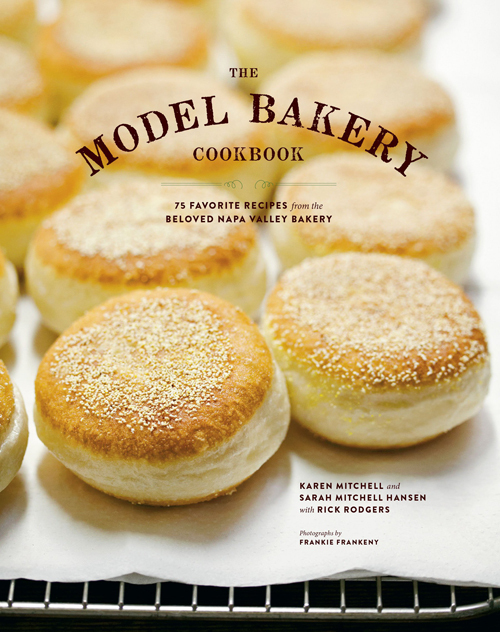 This recipe comes from “The Model Bakery Cookbook” (Chronicle Books, 2013) by Karen Mitchell, founder of the bakery; her daughter Sarah Mitchell Hanson; and veteran cookbook writer Rick Rodgers. With locations in downtown St. Helena and at the Oxbow Public Market in Napa, the Model Bakery one of my favorite bakeries. It is famous for its sinfully buttery English muffins (which I vow one day to attempt making one day, even if the counter person concurred that they pretty much do take an entire day to complete). 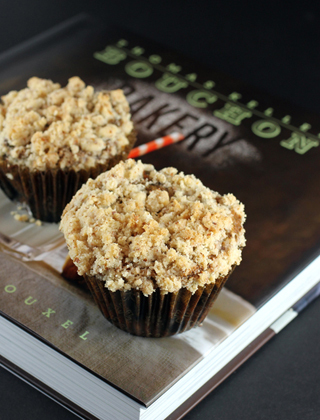 That recipe is included in the book, as well as more than 70 others for cakes, cookies, pies and breads. 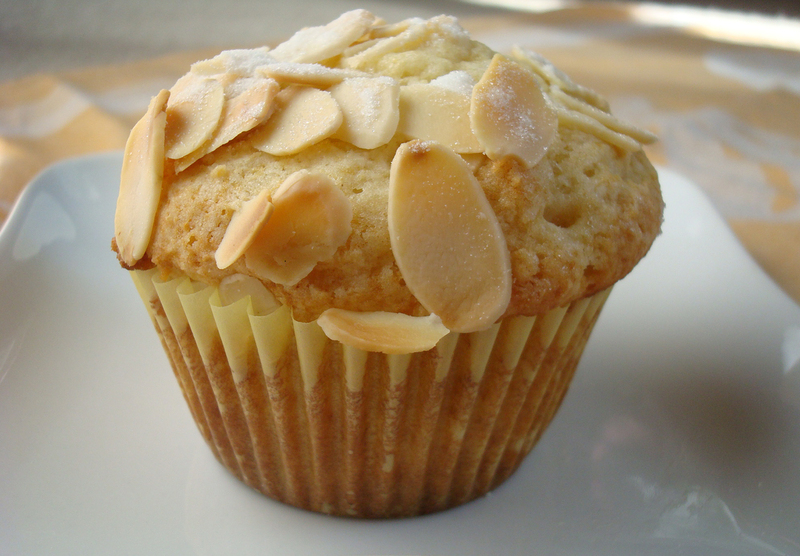 For now, though, the “Morning Glory Muffins,” are far easier and quicker. 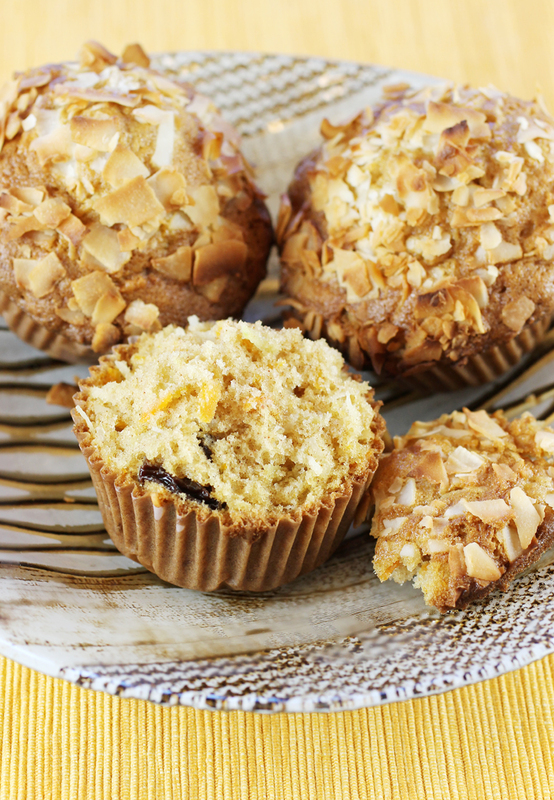 The recipe calls for 2/3 cup sweetened shredded coconut, of which 1/3 is mixed into the batter and the remaining 1/3 is strewn over the top of the muffins before baking. 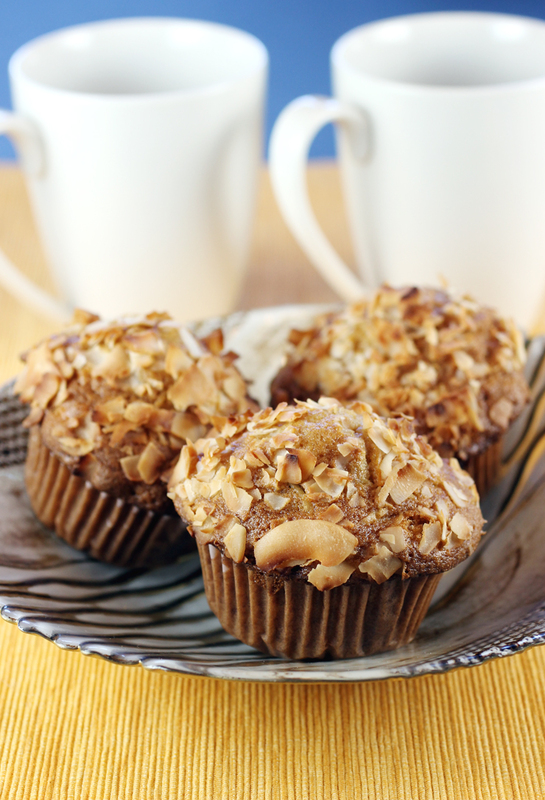 I switched it up a little, using larger and unsweetened coconut flakes to crown them for more presence. After all, it’s all about the tops. Always has been. Always will be. Position a rack in the center of the oven and preheat to 400 degrees. Line 16 standard muffin cups with paper liners. Sift the flour, baking powder, baking soda, salt, and cinnamon together into a medium bowl. Combine the carrots and apple in a small bowl. Beat the vegetable oil and sugar together in a large bowl with a hand-held electric mixer set on high speed until light in color, about 2 minutes. (Or whisk by hand for 2 minutes.) One at a time, add the eggs, beating well after each addition. Beat in the vanilla. Reduce mixer speed to low. Add the flour mixture in thirds, alternating them with two equal additions of the carrot mixture and mixing just until combined after each addition. Mix in the 2/3 cup coconut and all of the raisins. 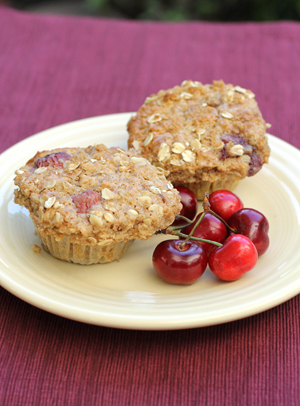 Using a #16 food-portion scoop with about a 1/4-cup capacity, transfer the batter to the lined muffin cups. Sprinkle the remaining 1/4 cup coconut over the tops. Bake until the muffins are golden brown and a wooden toothpick inserted in the center comes out clean, about 25 minutes. Let cool in the pan for 5 minutes. Remove from the pan, transfer to wire cooling racks, and let cool. 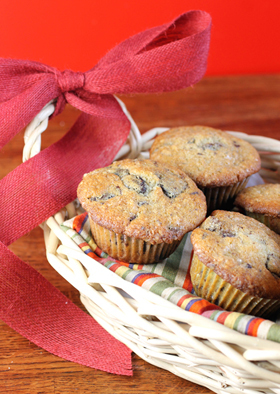 The muffins can be stored in an airtight container at room temperature for up to 1 day.